!!! MELROSE LANDING !!! 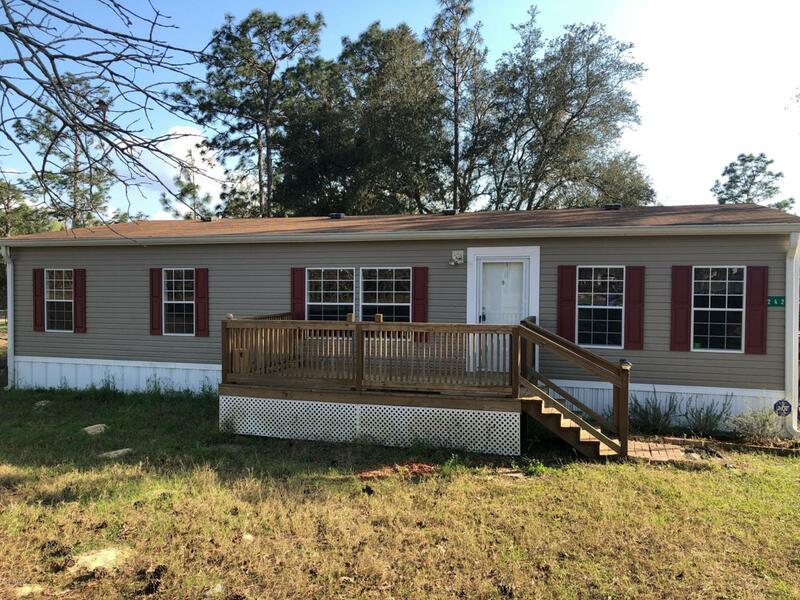 This available home is set on 1.56 acres, property is grassy and wooded the 4/2 double wide is split plan w/ nice linoleum floors throughout, spacious kitchen and island w/ built in dishwasher. The Master Bedroom has a walk in shower and garden tub as well as a big walk in closet. Back yard is cross fenced and full enclosed. The property is located for an easy commute to Gainesville, Palatka, Ocala, and especially the one light town of Historic Melrose Florida. Here you'll find just about everything you need: Famous restaurants, grocery shopping, Old time gas station, live music, senior center, cultural/art activities, farmers market, public library and more. Close by are 3 public boat ramps for year round access to Beautiful 6000 acre Santa Fe Lake.